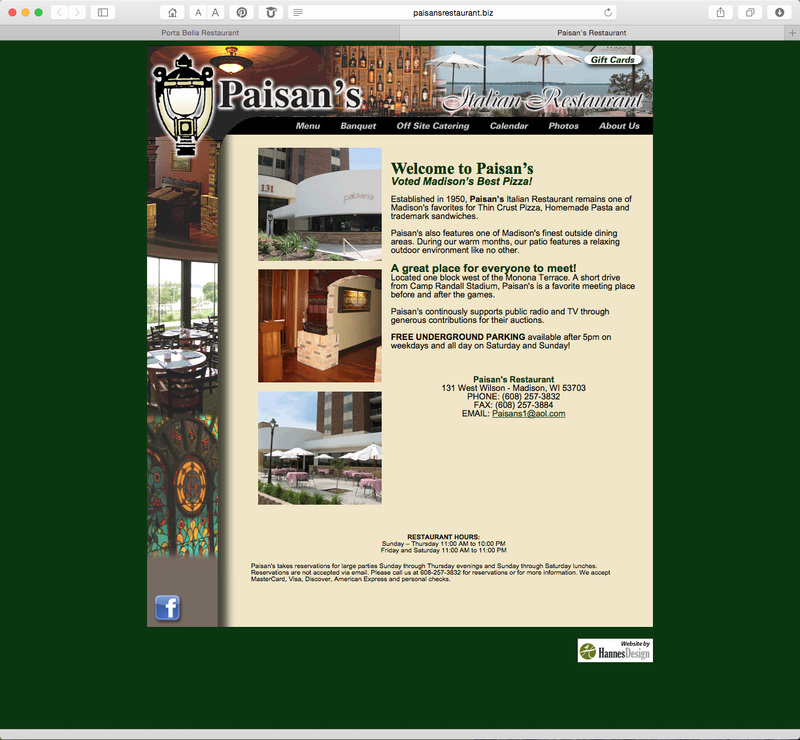 We designed an html website for Paisan’s Italian restaurant. A similar but different site was also designed for its sister restaurant Porta Bella – both college campus restaurants in Madison, Wisconsin. This website was used for 13 years, but is no longer active.